Canada is about to launch its ‘Express of Interest System’ (EOI) to give employers a chance to pick skilled workers from a pool of pre-screened candidates. 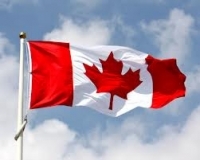 Immigration Minister Chris Alexander also announced in his annual report to the Parliament, that Ottawa will take-in Permanent Residents (PRs) between 240,000 and 265,000 to Canada in 2014 which is the same level as the current year. Alexander said in Ottawa that while Canadians will continue to get the first break at available jobs, getting the correct people in the correct places is the key to fuelling Canada’s long-term prosperity and addressing regional labor needs. The system of EOI is to going to start on 1st January, 2015. While economic immigrants, i.e., people who are selected for their investment, occupational skills and entrepreneurship will account for 63% of the admissions, 68,000 spaces or 26.1% will be assigned to the family class. The remaining 28,400 spots or 10.9% will be for people with humanitarian needs and refugees. In the coming days, admission quotas for individual programs will be available. However, Alexander said that the targets will be expanded by the government for the PNP (Provincial Nominee Program) and the CEC (Canadian Experience Class). Around 15,000 PRs — up from 10,000 in 2013 — are expected under the CEC program. This program allows people with a minimum of one year Canadian work experience to apply. The PNP program, which lets employers and provincial governments recommend appropriate candidates, is expected to draw as many as 47,000 PRs in 2014, up from 41,000 in 2013.